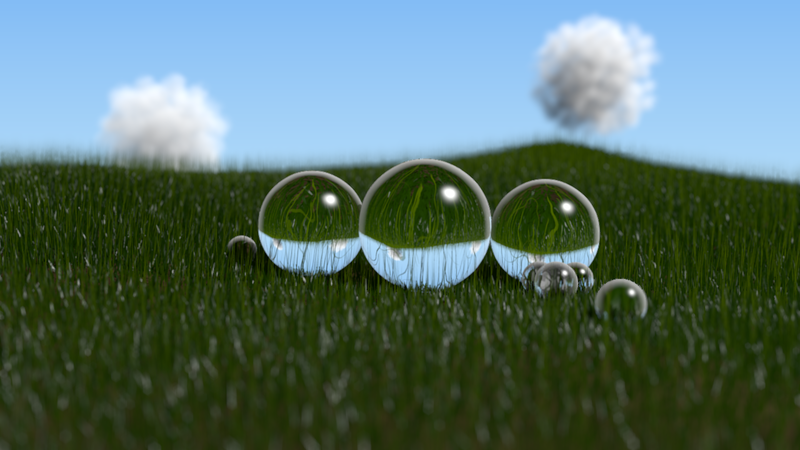 I recently completed a piece entitled "Orbs in the Grass" done completely in Blender 2.5 r28678. 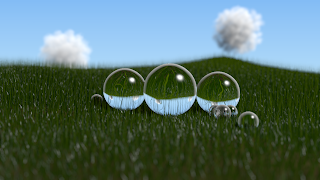 A simple piece which used the new Cloud Generator script to create the clouds and a couple particles systems for the grass, and although it isn't perfect it's pretty good for me. You can see my BlenderArtists thread on it here. 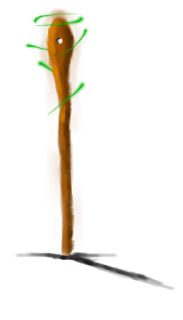 I also just painted a little piece using MyPaint, a open-source painting program which is very simple but powerful. You can learn more about it (and download it) from their website here. It is very effective with a tablet, which sadly I lack, but you can still do amazing things with it using just a mouse. Allthough I wouldn't call my art amazing, I still think it's pretty cool. This is based on a concept sketch I did one day. I can truthfully say, it looks a lot better in the colour that you can get with MyPaint!